Now, let’s look into the details of these four features to understand how each can benefit your business. Calendar apps make it easy to keep track of all the tasks, deadlines, and events you need to deal with. The Route4Me Android app allows you to add routes to Google Calendar and other calendar apps. This feature helps you stay up to date and on schedule, and you’ll be able to make your routing initiatives more flexible and efficient. 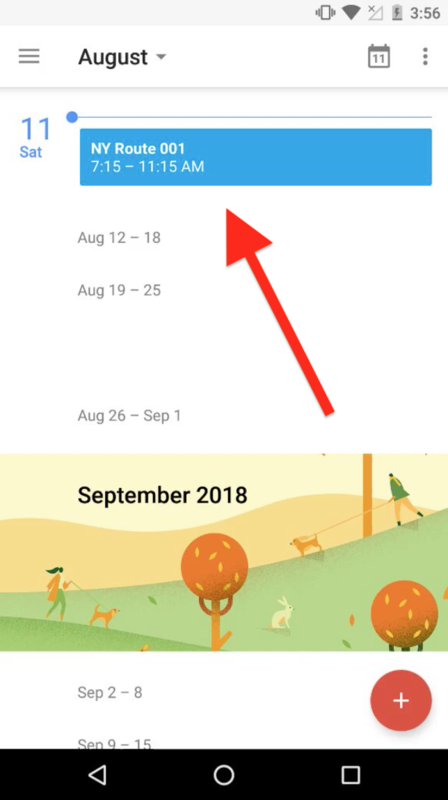 When you add a route to your calendar, Route4Me opens Google Calendar by default, provided it’s the only calendar app installed on your Android device. The route is then added to the calendar as an event. The name, date, start time, and end time of the route are synchronized to the calendar from the Route4Me Android app. Please note that the end time of a route is determined by the route’s start time plus the route’s estimated travel time. Both adding a route to your calendar and making modifications are easy. The best part is that whenever you make a change to a route’s name, start time, or end time on the Route4Me Android app, these changes will be automatically made to the corresponding event in your calendar. Read this step-by-step guide to learn more about this feature. 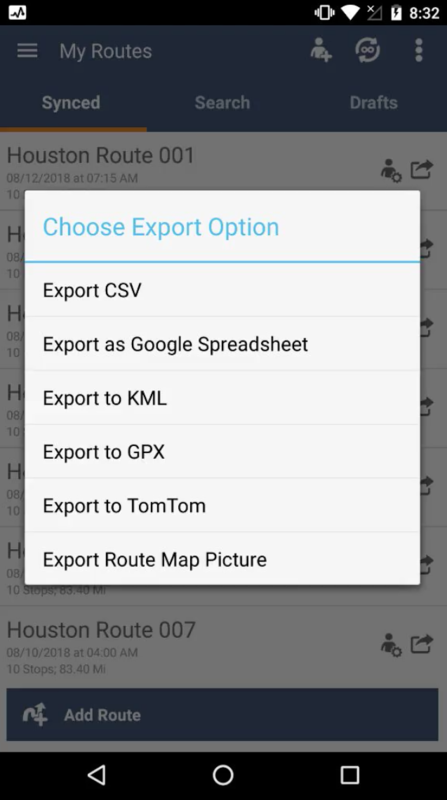 Depending on the exported file type, you can share data, make reports, upload data to GPS devices, and do many other routing activities. You’ll even get a notification when a file is downloaded to your Android device so that you don’t miss it. To learn more about the export options, check out this article. With more than a billion users, Gmail has become the world’s #1 free email service. There’s a good chance you use Gmail for your email. Now, for your convenience, you can use your Google sign-in info to log into your Route4Me account. When you open the Android app, you’ll see the option to sign in with Google. Just select it, enter your password, verify it if required, and then you’re good to go. 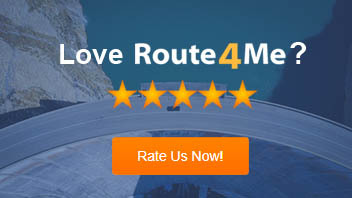 You’ll be logged into your account and able to access all the Route4Me features you need. You might be wondering how this will work if your email is not registered in our system. 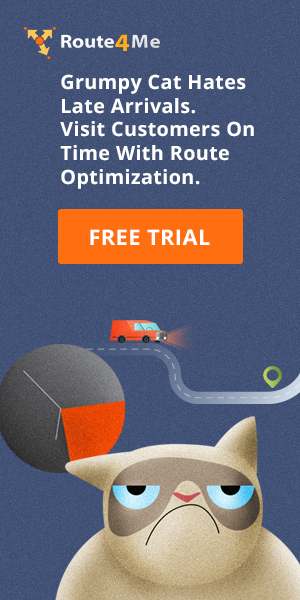 In that case, Route4Me automatically creates a Mobile Free account for you and links it to the provided Gmail address. How cool is that! 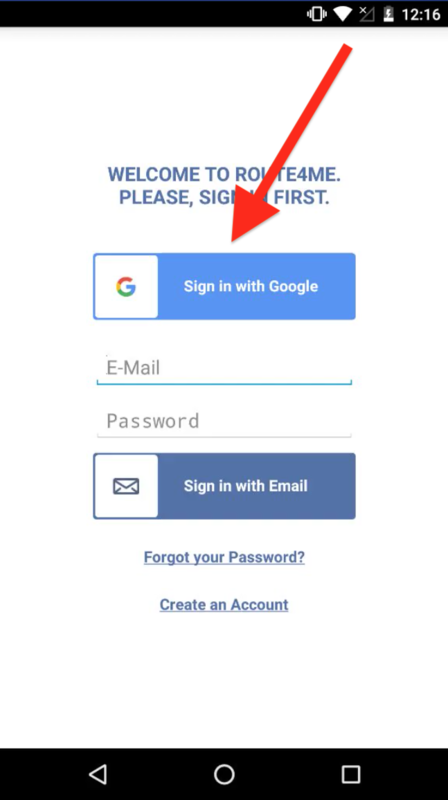 Read this step-by-step guide to learn how to sign into your Route4Me account using Gmail. The Route4Me Android app provides voice-guided navigation through the integrated CoPilot app. But sometimes, technical issues can prevent this feature from functioning properly. When that happens, the problem can often be fixed by clearing your navigation data. 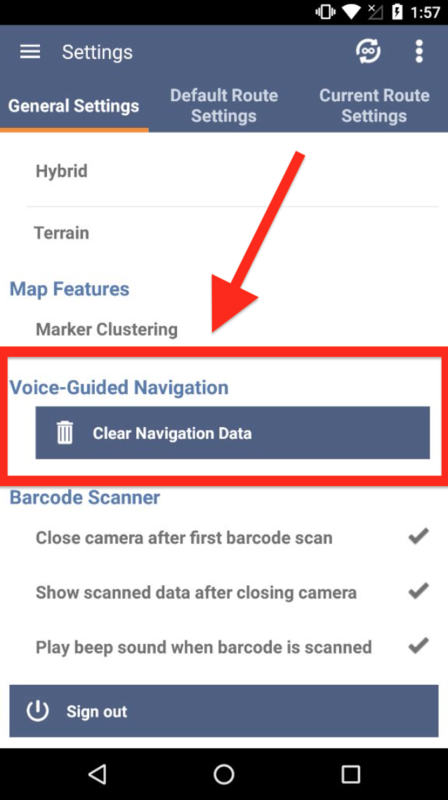 Go to the settings from the Main Menu, navigate to the “Voice Guided Navigation” section, and click the “Clear Navigation Data” button. That’s it. 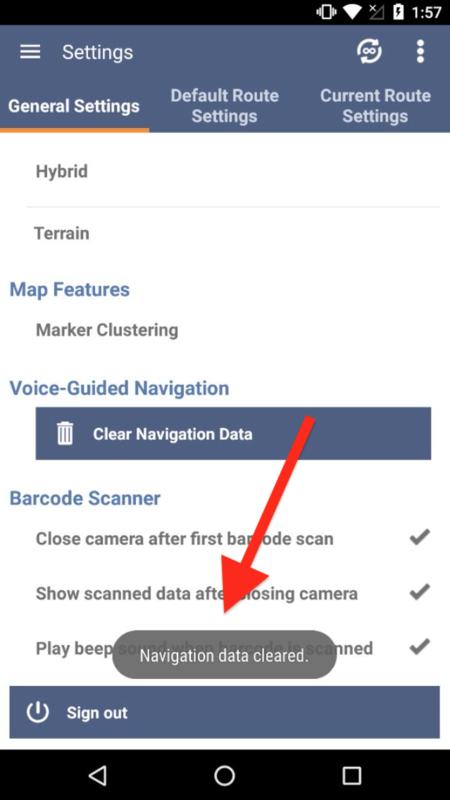 As soon as you clear the navigation data, you’ll get the following notification (as shown in the image at the bottom of the screen). However, please note that once you’ve cleared the navigation data, you will need to download a map and create a new profile as instructed in this tutorial. In addition to the four new features detailed above, you can now access the Route4Me Android app in additional languages, including Malay, Hebrew, Polish, Norwegian, Danish, Czech, Turkish, Swedish, Spanish, Italian, French, Chinese, Hungarian, Romanian, Russian, German, Korean, Arabic, Finnish, Japanese, Portuguese, and Dutch. So, what do you think about these new features? Do you have any questions? Feel free to let us know in the comments section below.